The face of public lands conservation in America is changing, but the public perception of who uses our National Forests, Parks, and other public lands hasn’t kept up with the times. The people enjoying America’s trails, rivers, and natural areas today are younger and more diverse, and include a growing number of US military veterans. From fly fishing on Wild and Scenic Rivers, to backpacking in National Forest Wilderness Areas, veterans are finding peace, freedom, and inspiration in our wild spaces. 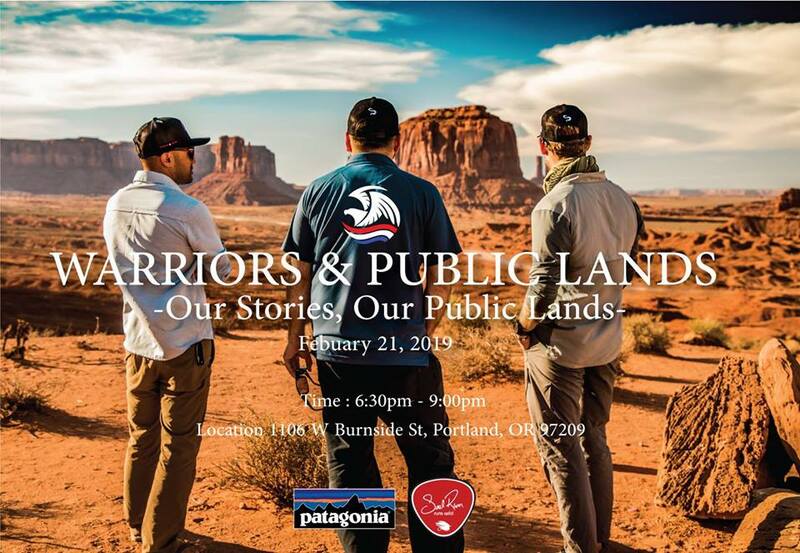 Join Soul River Inc, Oregon Wild and Patagonia for a panel discussion about the important role public lands play in the lives of many veterans, and the importance of standing up for the places we love.